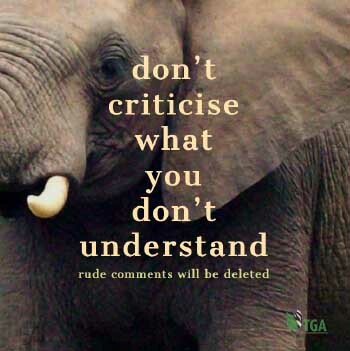 One of our Facebook fans, Justa Kruger posted this quote by Charles Darwin. Here is my reply to her. 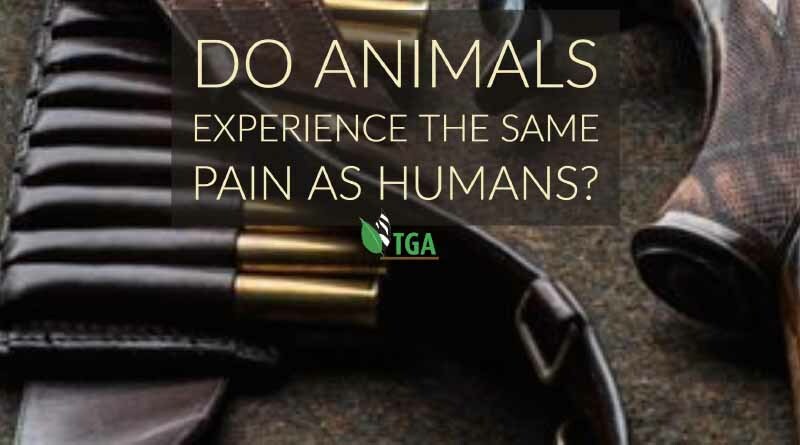 Animals and humans feel the same kind of pain (or lack of it) when it is associated with severe trauma: for example when they are hit by a bullet; involved in major accident (or caught in a leg-hold trap); or when they simply break a leg. A human and a monkey, or a buffalo or an elephant – all being animals of the same animal kingdom – feel exactly the same KIND of pain when they are subjected to the same KIND of accident or injury. And the same KIND of process is involved in the process. I have heard it said that animals have a propensity to “bear the pain better” (than man) but I think that is a moot point. I have spoken to several people who, during the Rhodesian Bush War, suffered a bullet wound. They all say the same thing. They felt the “thump” of the impact but they felt no pain; and for some time after the wounding they suffered none, or very little pain – (only when – after a while – they tried to move about). A few years ago, the fur institute of Canada spent a great of time and money on “testing” what kind of pain and/or trauma a wild animal – like a fox or a lynx – goes through when it is caught in a primitive leg-hold trap. This kind of research is of importance to humanity, also, when a human being goes through the same kind of trauma. Immediately the trap is sprung – that is, the instant the two jaws of the trap snap together around an animal’s wrist – the animal feels the sudden impact but it feels no pain. And that is why, the instant it is caught, the animal fights the trap with all the power it can exert; and because there is no pain it keeps on fighting until, mentally, it stops the battle trap because it realises it can’t get out of the trap (or situation). Note: It stops fighting not because the pain is too great (because there is no pain) but because its mental processes tell the animal it is wasting its time. A friend of mine who was very badly mauled by a lion told me exactly the same thing. His face was very badly mauled but, during the mauling, and for an hour of so after the attack was over, incredibly, he felt no debilitating pain. Instead of pain wounded animals (and people) experience a numbness at the site of the injury – and numbness, I suppose, is nature’s first defence against pain. Then (sometime after the accident) proper pain starts to happen whenever they (man and/or animals) move – when broken bones or bruised and shattered muscle – are disturbed. But the pain stops when the animal (or man) stops moving. This is the second step of nature’s defences after such an injury: the animal learns that, if it wants to avoid pain, it must endure the numbness and stop moving around. So the pain – when it becomes manifest – is managed by a physical numbness and a mental awareness that movement causes pain. A friend of mine, recently, suffered the shattering of his upper arm (between elbow and shoulder joint) and the bone was broken into five different pieces. Yet he says he felt no pain. No even – en route to hospital. And the bone damage was so severe it took a five hour operation to pin the bones together! All this happens because the instant an injury occurs – like a bullet hitting an animal’s body – an instantaneous nervous message is transmitted from the sight of the injury directly to the brain. In response, the brain releases a sudden deluge of endocrines (natural morphines) into the animal’s blood stream. This swamps the blood stream with an astounding array of natural pain-killers. And so long as those endocrines are flowing, pain is subdued – but also as long as the animal stays quiet and still. Every time the injured animal moves around, however, spasms of new pain will erupt. After some 24 hours, the supply of endocrines in the brain becomes depleted – after which time (with now NO pain killers in the bloodstream) solid pain replaces any numbness that remains and true and perpetual pain then intensifies (even when the animal is lying still). And whether you are a man or an animal this same set of circumstances pertains. I hope this answers your question; and settles your anguish about pain. you are so full of BS- there is shock and that is what numbs the body to the immediate pain. but after the shock wears off the pain is there- moving around or not. if an animal is shot in the leg it is painful to put weight on the leg regardless of whether the animal is moving or standing still. Perhaps a bit of scholarly research into the field of pain would be in order for you. Or perhaps you can volunteer to be a subject in a study where pain in various sorts can be inflicted upon you. maybe then you will understand pain. If any of our readers wish to investigate the injury/pain issue – when an animal is hurt – either wounded with a bullet or caught in a leg-hold trap or cable snare – and they don’t want to believe what I say – I would recommend that they seek information from the Fur Institute of Canada who have conducted exhaustive scientific research studies into this subject. Their results have caused new traps to be manufactured, some old traps to be withdrawn, and new legal behaviour patterns to be followed by Canadian trappers. The basic theme is this: When an animal is first trapped (or shot) it experiences little trauma but sudden anxiety and it rushes away in fear. When it stops to rest in its flight – and perhaps lies down – its wound stiffens. Immediately upon it being “struck”, endocrines from its brain – acting like morphine – flood its system and this reduces whatever pain it might have suffered without such a natural tranquilliser. Once it stops moving, a numbness sets in at the wound site – which together with the endocrines – deaden whatever pain begins to manifest itself. The wounded or trapped animal is doubtless, however, very uncomfortable in its new and strange predicament. Thereafter, when it moves, if suffers pangs of pain; which stop when the animal stops moving. The animal then learns that if it lies still it will not suffer pain (but the numbness gets bigger). It then only suffers pain when it moves. This is why, when you have trapped an animal with a gin-trap (leg-hold trap) – and you track it down on the drag-pole marks it leaves behind, you will find the animal lying quiet and still (not fighting its situation) – because whenever it moves it feels the pain again. So – although bewildered by this turn of events – the animal learns to lie still to avoid the pain. The numbness gets worse, however, but acute pain is absent. Only when it moves does the acute pain come back. So it learns not to move – because it wants to avoid the pain. This state of affairs, apparently, lasts for 24 hours after which time it has exhausted the supply of endocrines in its brain, and as time advances, so the pain becomes more and more acute – and permanent. And by the time the next day dawns it is suffering constant and acute pain whether it lies still or doesn’t. It is for this reason that, by law, every Canadian trapper is required to visit his traps every single day. When an animal is wounded with a bullet, however, there is normally ample time for the hunter to find his wounded quarry before the stage of acute pain sets in. But you seem to know all the answers so I am not quite sure why I am explaining all these things to you! Or maybe you have a better imagination than me? You know, I was just like you are now – once upon a time. I “knew it all” no matter what my real experience was. Nevertheless, I was concerned because I was trapping and shooting animals – lion and leopard stock-killers for example – on a regular basis and I did not want to inflict unnecessary pain. So I obtained all the necessary information about pain from people who knew the right answers. And I listened to them. And it gave me contentment – peace of mind – because I knew I was doing the best that I could to make sure that whatever pain I caused it was minimal.